Home » Website Building » WordPress » How to Install WordPress on SiteGround Hosting? SiteGround is one of the popular web hosting companies offer economical shared hosting for WordPress. Similar to other popular one-click installation services on Bluehost and GoDaddy, SiteGround also offers one-click WordPress installer. This is called Softaculous which you can use to install WordPress in few minutes. 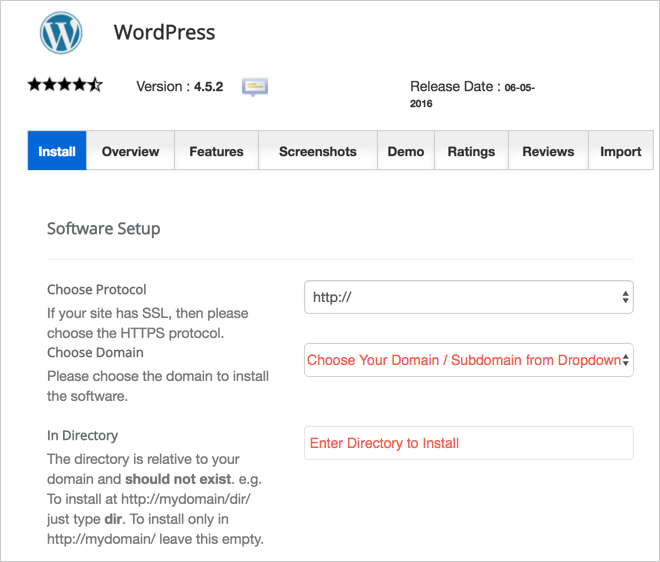 You can install WordPress on the domains hosted with SiteGround or added in your hosting account as a primary, subdomain or subdirectory. 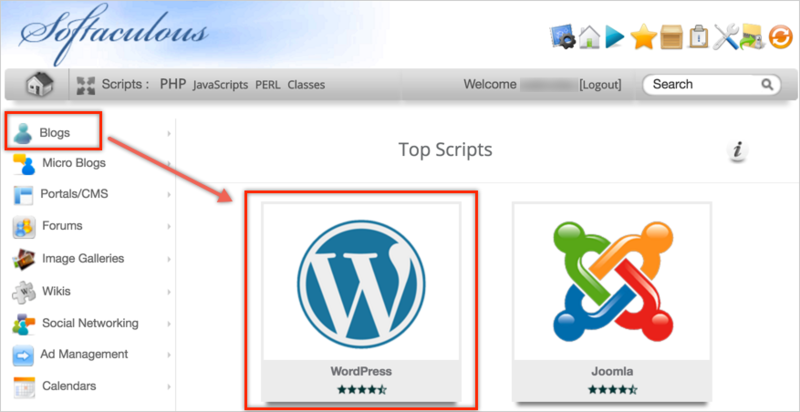 In this article we will explain step by step tutorial on how to install WordPress on SiteGround using Softaculous. How to Install WordPress on SiteGround? First, login to your SiteGround hosting account and navigate to your cPanel. Go to ‘Autoinstallers’ section and look for the “Softaculous” application. Click on the “Softaculous” icon to see plenty of listed scripts. Basically you can install WordPress, phpBB, Drupal, Joomla and all other popular applications. Look for the WordPress app that will be generally the first one or check under “Blog” category. 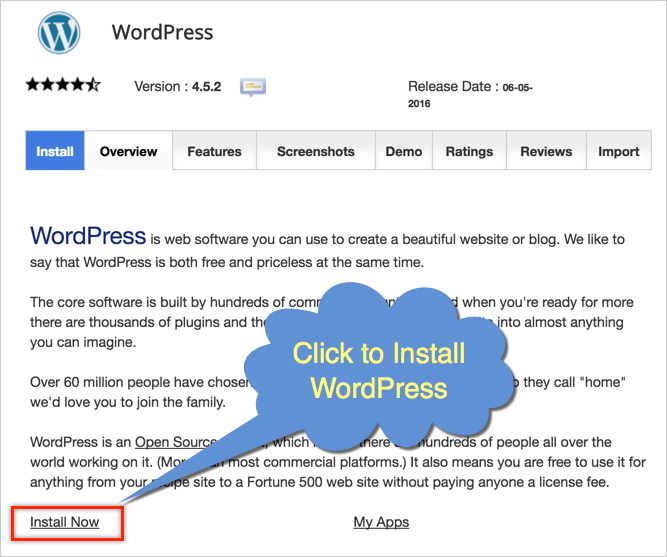 Click on the WordPress application to proceed to next step. You will see all the details of WordPress like version, ratings, reviews and features. SiteGround always offers the latest WordPress version once it is available in WordPress.org site for public. Click on the “Install Now” link shown under “Install” tab. On the next screen fill up the all the required details carefully. Under this section fill the protocol for your WordPress installation http or https. If you don’t have SSL certificate then cancel the setup and go back to your cPanel. Use Let’s Encrypt and install SSL certificate for your domain or subdomains. You need SSL to have secured site that also ranks well on Google. After installing SSL, ensure to select https from the protocol dropdown. Also remember to choose www or without www version as you like. Choose the domain from the dropdown, you can choose your primary hosting domain, subdomain or addon domain. If you want to install on subdirectory then enter the directory to install WordPress or just leave it blank to install on the root (/public_html/). Fill out other details for site settings details like name, description, admin username and password. If you want multisite then “Enable Multisite (WPMU)” checkbox. These plugins and theme are optional, don’t select if you do not want to install them on your WordPress installation. Also these options will change time to time, so you may not see the recommendations all the time. The important part of installation is to choose the database details under “Advanced Options” section. Enter the name for your database and the prefix for database tables. By default WordPress installations will have the table prefix of “wp_”, it is highly recommended to provide different name for security reasons. 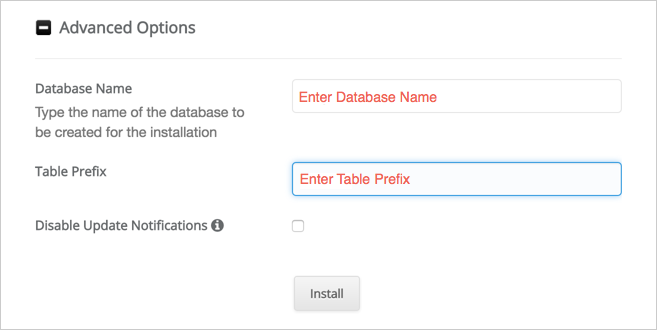 Once filled all the details, click on the “Install” button to begin the installation and database setup process. You will see the progress bar and the complete progress may take few minutes to complete. 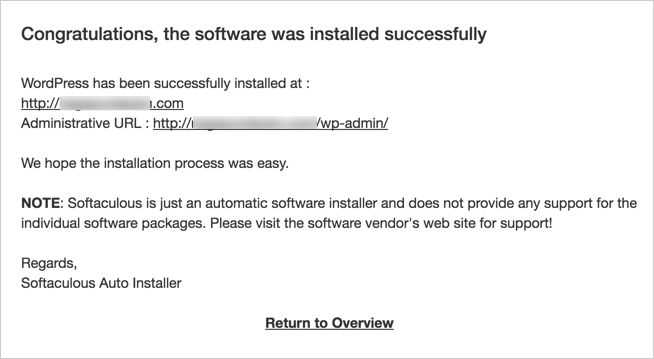 After successful installation of WordPress, you will see the confirmation message like below. Also, SiteGround will automatically send these details to the admin email for reference. Note, the password will not be shown in the details or in the email. You should remember it carefully after entering in the previous section. Click on the administrative URL to go to your login page. Use the admin username / password and login to your WordPress admin panel to start building your site. The first step you need is to go to ‘Settings > Reading’ and enable the check box for ‘Discourage search engines from indexing this site’. This will help to avoid, search engines like Google start indexing your dummy content. Go through all the sections like posts, pages, comments, plugins and themes and cleanup the site. You can check out this WordPress launching site checklist for reference. Also checkout this WordPress SEO checklist and start building your WordPress site search engine friendly. After building your website, disable the discourage search engine indexing checkbox and submit your site to Google and other search engines.